(January 15, 2016) The full text of this study is restricted to JAVMA subscribers. Pay-per-view and subscription options are also available. (November 17, 2015) It was a fairly common sight that first piqued Dr. Jon Geller’s interest in the plight of pets living on the street with their owners. Crossing a bridge in Nashville, Tennessee, he saw a homeless man panhandling with his pit bull–type dog. “There was something about the obvious intensity of their bond and the surprisingly robust appearance of the dog, in comparison to the owner, that struck me to explore this issue further,” he said. But just as in human medicine, 21st-century health care for pets doesn’t come cheap. According to a 2011 veterinary usage study, the rising cost of care is a major reason many pet owners delay routine vet exams or turn to the Internet and home remedies to save money. (November 19, 2015) PORTLAND, Ore. (KOIN) — Police dogs, just like human officers, are often put into dangerous situations. A Vancouver Police dog lost his life in September and a Portland K9 was killed in the line of duty a year ago. Now, one local veterinarian is going above and beyond to make sure police K9s stay safe while on duty. (October 29, 2015) Kellogg Co. plans to expand its animal welfare efforts by sourcing only cage-free eggs and eliminating gestation stalls from its pork supply chain by the end of 2025, the company said Thursday. 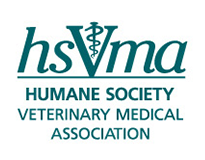 (October 15, 2015) Read the results of a study that evaluated the prevalence of suicide risk factors, attitudes toward mental illness, and practice-related stressors among US veterinarians. (September 24, 2015) Midwestern University in Arizona has recently installed both the Haptic Cow and Horse in its new College of Veterinary Medicine to help make their students “Day One Ready”.